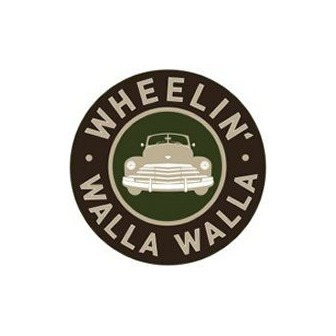 Wheelin' Weekend gives classic car and motorcycle lovers the opportunity to show off their baby or just stroll through the streets lined with over 350 vehicles! 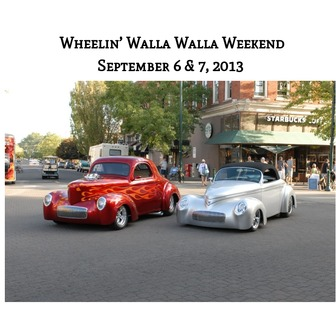 Wheelin' 2013 is on September 6 & 7 and is the 18th Annual event in our historic downtown. Register to join us for this weekend of fun! With over 350 participants, this is one of the largest classic car and motorcycle shows in the region. The Controlled Classics Cruise is free and open to anyone who has a street legal vehicle they would like to show off. 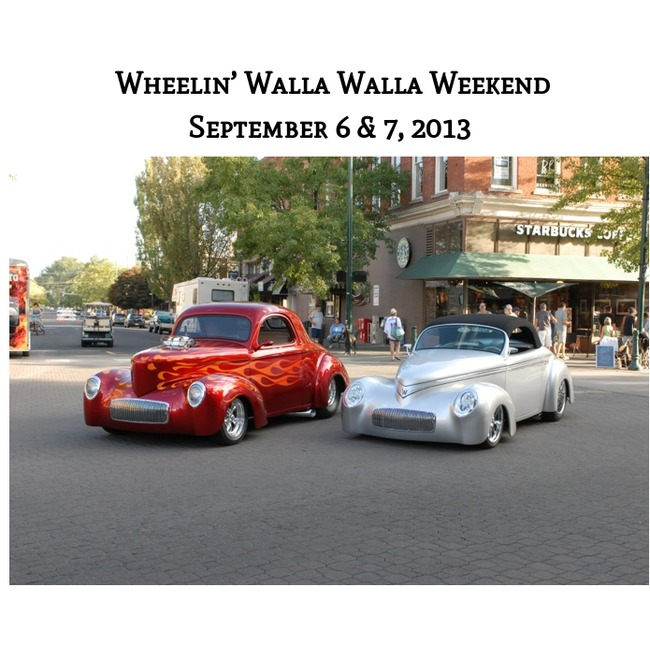 Registered Wheelin' Weekend participants must show their colored vehicle ID card in their window to enter the Fairgrounds. Those not registered for Wheelin' or those who have not checked-in for the event will be asked to sign a liability waiver and display a temporary vehicle ID to participate in the cruise. Line up for the cruise begins at 5 pm at 636 Orchard St., the cruise begins at 6pm and lasts approximately one hour. The cruise route begins and ends at the Fairgrounds. A catered BBQ dinner will be served to those with dinner tickets, additional tickets are sold at the event for extra friends who may have joined. Lots of prizes for lots of cars and motorcycles! Best in Show - the top prize, selected by our panel of judges. Participants' Choice - the top prize, selected by your peers. Judges' picks, including Best Flames, Best Interior, Best Engine, etc. - chosen by our panel of judges. 1st & 2nd Place per Class - selected by your peers based on the classes on the registration form. Sponsors' Choice - chosen by Wheelin' Weekend sponsors of $300 or more. Kids' Choice - chosen by children under 18.